Laptops are great. You can take them with you wherever you go – but they tend to lack in the speaker department. Between the cooling fans in the laptops and any background noise in your environment, watching or listening to anything on your laptop can be a real chore. Sure, you can wear headphones/ear buds and that is often an excellent choice – but what if you want others to hear as well? At some juncture you may need to plug in external speakers – but that sort of defeats the idea of a laptop. You could buy wireless speakers but they are pretty pricey. So is there any affordable option that will allow you to maintain your mobility and increase your laptop’s sound? Yup – and it isn’t just affordable, its free. 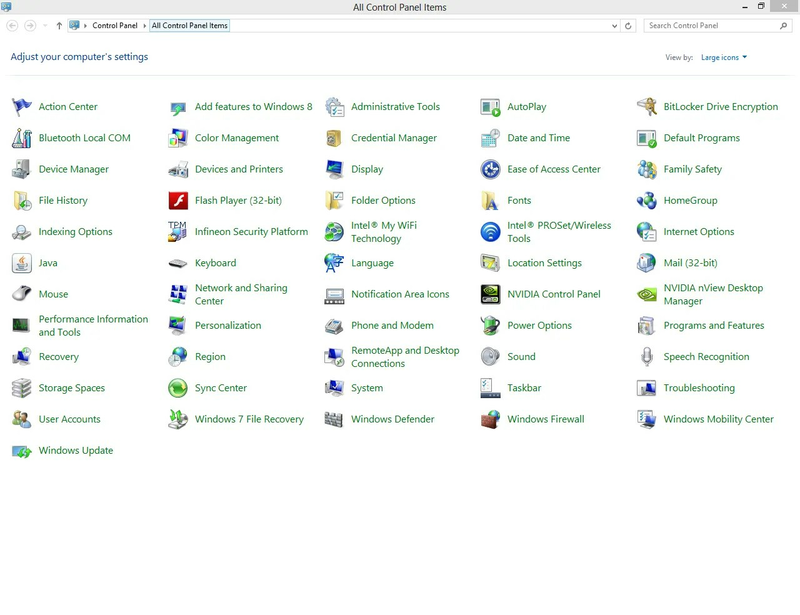 A snapshot of Windows Control Panel in Windows 8. Yours may appear a little different. If it only has a few icons or looks significantly different, look in the top-right corner. Note how in the window above it says “View by: Large icons” – change whatever it is currently set as to Large icons and your window should more closely match the one above. This is what the Windows sound application looks like on opening. 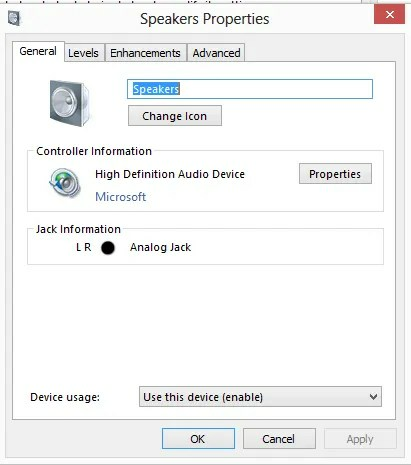 This is the Speaker Properties window of the Sound Application. 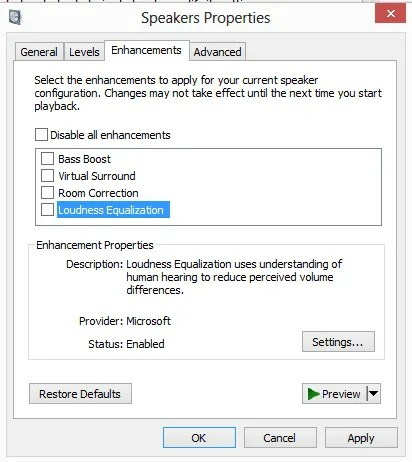 Ensure that “Loudness Equalization” is checked. Note the description under “Enhancement Properties”: “Loudness Equalization uses understanding of human hearing to reduce perceived volume differences.” In other words, if you are watching a movie and people are speaking normally and you can hear them fine but then the movie moves to a scene where individuals are whispering, this option will automatically boost the volume of those whispers so they can still be heard by the human ear. Click OK at the bottom to close out the Speaker Properties window and then OK at the bottom of the Sound Properties window to close it out. Now give it a try – you should notice that your computer’s volume has “appeared” to increase. 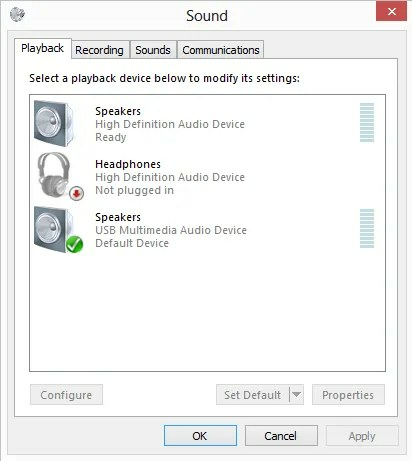 The actual max volume your laptop speakers are capable of hasn’t increased, it is just that Windows is now increasing the volume of sounds that previously were being generated at a lower volume. As a Mac user I wanted to share the best way I have found to boost volume on a Mac. Apple doesn’t have a good internal feature that allows you to boost the volume on your laptop, and unfortunately, most mac laptop speakers don’t put out a high level of volume. There are some programs (like iTunes, VLC Media Player, etc.) where you can go into the Equalizer and boost the sound beyond it’s normal volume, but this results in a good deal of distortion and also only works in those specific programs. The solution that I have found is to use an app called “Boom”. Boom is available from the Mac app store or online at “http://www.globaldelight.com/boom/”. It allows you to boost the volume on your mac across the entire operating system, and does so in a clean, easy-to-use interface. Additionally, it comes with a built in equalizer that allows you to minimize the distortion that comes from boosting your system’s sound. Since Apple capped the volume level on their speakers far below their maximum potential, you’ll find that Boom provides a great increase in the output of your speakers without causing much distortion. The app will cost you $3.95 on sale (as of right now) and $6.95 if you buy it when it’s not on sale, but it’s well worth the money. If you’re skeptical, you can try it for free for 6 days. Just be warned, as Boom tells you, Boom can be addictive. So once you’ve started the free trial, you may never be satisfied without Boom again. P.S. You need to get yourself a gravatar (gravatar.com). You’re welcome, and you’re right; I should get myself a gravatar. Previous story Next-Gen Gaming Comparisons: Wii U, Xbox One or PS4?